What’s So Bad About A Dirty Air Filter? Sometimes replacing your home’s air filter seems tedious or a little pointless if the filter itself doesn’t seem that dirty. The frequency in changing HVAC filters may vary but typically need to be replaced every 1-3 months, depending on the filter lifespan and the area in which the filter is working. 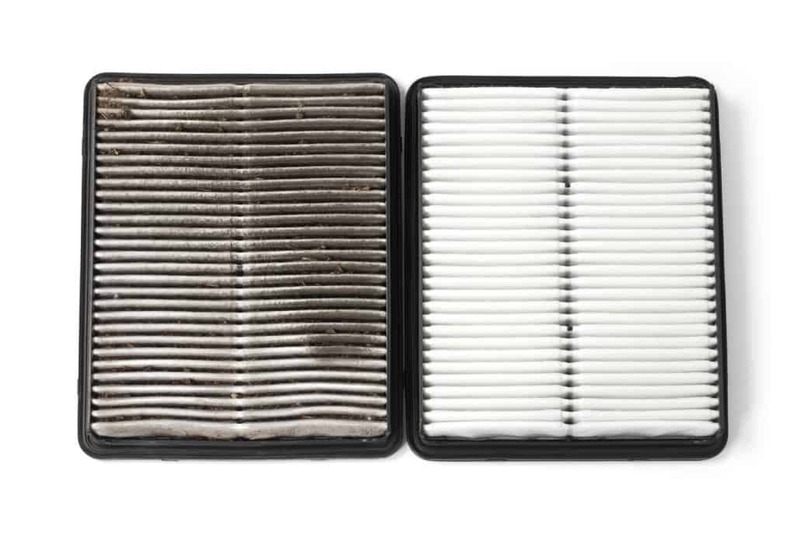 Waiting too long to replace your filter could be problematic to your air system and probably isn’t worth procrastination. Operating your HVAC unit without a filter is not optional, but using a dirty air filter isn’t much better. The purpose of an HVAC air filter is to stop and trap anything that isn’t good for your HVAC system, including dust, hair, debris, and everything else that could get caught in the airflow. The dirtier your air filter, the harder it will be for air to flow through the filter because whatever your filter has trapped will stay there until you replace it. Dirty air filters compromise the efficiency of your unit because your system is working harder to reach its target temperature. Some people think they will be saving money by buying fewer air filters, but with the HVAC system working harder, they’ll most likely be having a higher energy cost. Money is best saved with a clean filter. In this approaching hot weather season, many people will be using their A/C system more. Having dirty air filters can trap cooled air in the HVAC system rather than releasing it into the home. The trapped air can build up and cause a frosted condenser and evaporator coils, which then could lead to the unit to literally be frozen. The air inside your home should be clean and breathable. However, with a dirty air filter, the system is unable to provide proper air quality inside the home. The bigger the build up, the worst the air quality would be, which can be a huge concern for people with asthma, allergies, or other respiratory conditions. Clean air filters is perhaps the easiest and most efficient way to provide quality air into the home. With summer around the corner, your air system is going to be working harder than ever to give you clean and cool air. Maximize that air flow by making sure you air filter is properly changed as often as necessary. If you need help with your air filters or HVAC system, don’t hesitate to give us a call for a free quote!